This was great project for one of our large commercial/industrial builders. We installed 3 ladders and a pull down access ladder to provide the client with access from the office to the main building roof and access to the two canopies at each side of the development. 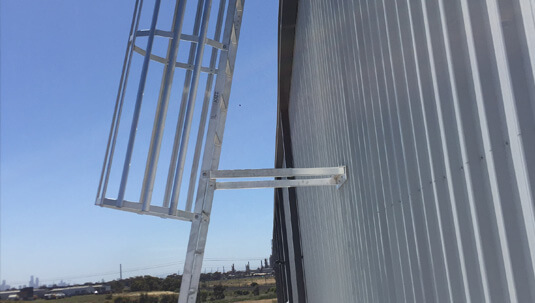 All ladders were installed to Australian Standards using Sayfa products. We installed a pull down ladder which gives you access from the office to the office roof. Around the roof hatch, we installed a 3 sided handrail for protection around the roof hatch.